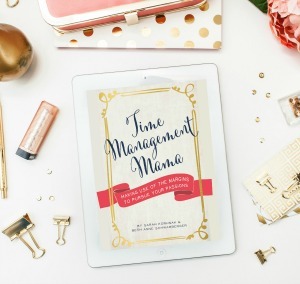 Last week I talked all about how to choose a consistent color scheme and font pairing to give your brand a clear personality (you can read it here, plus grab a free style guide). And personality? Ohhh man, it’s so important when you’re growing a business online! We don’t have the luxury of seeing our potential customers face-to-face and saying hello as they walk into our blogs or shops. So every little clue we give them about who we are and what we’re about matters SO MUCH! 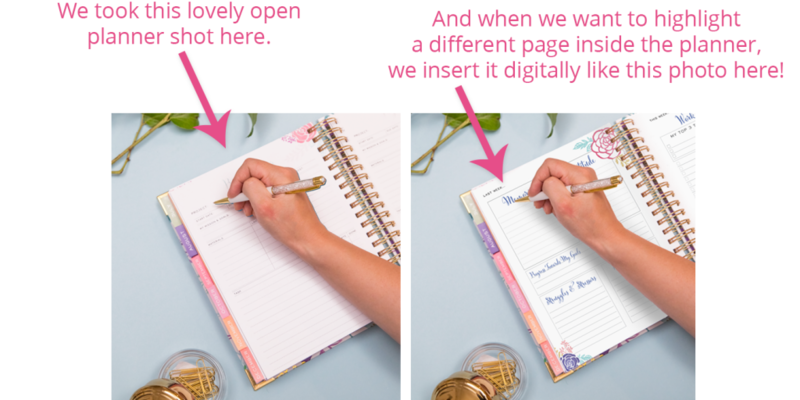 And sure, Facebook lives and “real-talk” blog posts are GREAT, but honestly, we all see the visuals FIRST and take time to read the words LATER. So those visuals need to be spot-on! 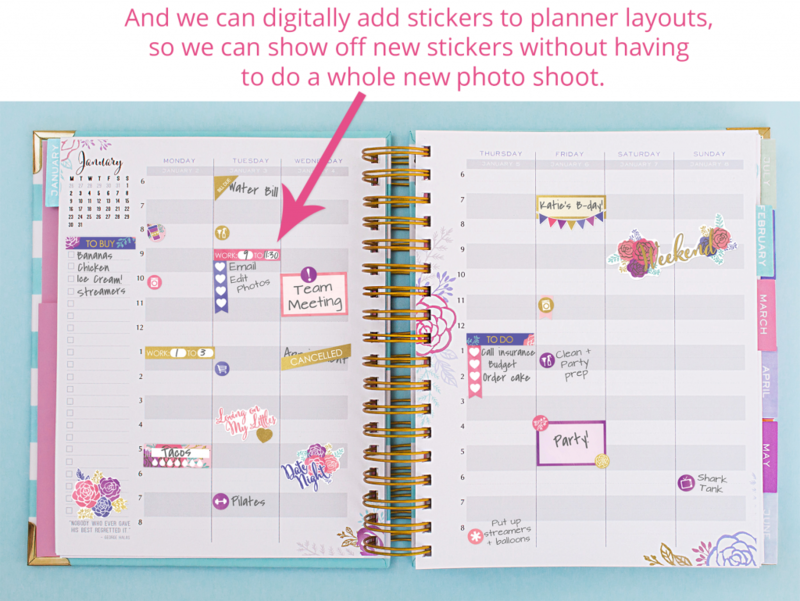 Now that you’ve nailed your color scheme and fonts, let’s move on to photos for your business! But they’re so necessary for putting your business, content, and products in the best possible light. I remember the early days of my business well. I knew exactly how I wanted my photos to look, but the end result looked more like a Pinterest Fail! It’s so hard when your taste is way-up-here and your ability is still, well…. back towards the starting gate! 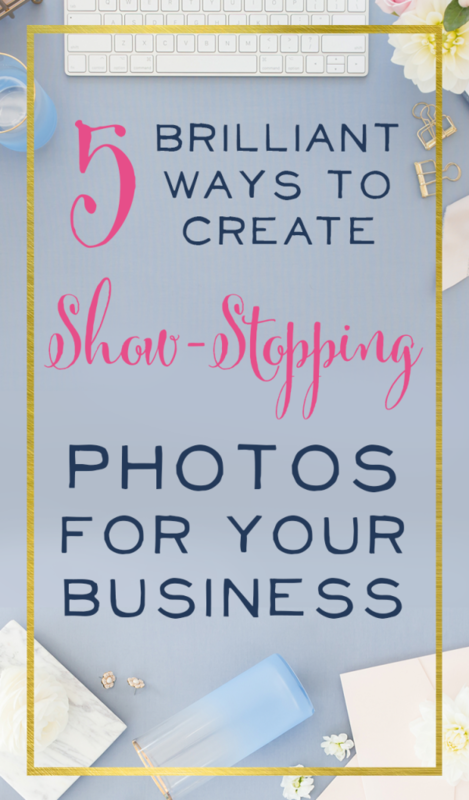 Here are 5 brilliant tips for taking and curating fabulous photos for your business, even if you’re a total amateur like me! 1.) Choose a signature background for all your business photos. My favorite source for every-color-under-the-sun backdrops is Savage Paper. (affiliate link) Seriously, start with just one signature color and you’ll be amazed at how your photos pop! I’ve been using my rolls of pink, purple, and blue paper for almost 2 years now, and I still have loads of paper left to use! It tears off really easily for a flat lay shoot or can be hung on a frame for a full-person size seamless backdrop. One roll goes such a long way! If you’re looking for a particular pattern for your backdrop. Etsy has tons of options in all different sizes. You can start small with a little square to use for flat-lay, overhead shots and work up from there. 2.) Pick a few props that really speak to your brand. Again, this is where you can make or break things. Don’t choose a bouquet of flowers if that has nothing to do with you. But perhaps you’ll choose some vintage, plain-wood toys, or a brightly colored, one-of-a-kind pen. Take some time online shopping (and how about in-person thrift store and garage sale shopping?!) to find a few signature pieces that won’t take attention away from your products or photos, but will add just a bit of flair. Hint: Don’t choose props with busy patterns. They’re too distracting. Choose props that are, for the most part, just one color, and make sure it complements your brand colors really, really well! When in doubt, choose plain wood, gold, or white for your props and gradually add in more of your brand colors once you see what works. “Say what?! I thought you were giving us photography tips, Beth Anne!” Yep, I sure am, and this is one of my VERY BEST tips! But here’s the thing: Many people get stock photos completely wrong because they choose whatever is most trendy, or the photos they see other brands using instead of carefully choosing stock photos that represent their brand personality and colors. HauteStock has a stock photo membership that I LOVE. They DO come out with new collections in varying colors all the time, but…. If you’re not into the “girl-biz” scene, they might not be the right fit for you. Lots of computers and desktops. Twenty20.com This site has a HUGE variety of stock photos about every topic under the sun, but it’s pricier than most. You’ll pay $149 for the month and be able to download 10 photos. So, you’re paying about $15 per photo, but seriously, you can’t beat it for unique and exactly-what-you’re-looking-for kinds of photos. Stock photo pro tip: Don’t be afraid to spend a little extra money for just the right stock photo. It’s better to make sure your photo is unique and on-brand than to have 100 free photos that just don’t look right. Below are some of the ways I use stock photos in my business. 4.) Turn YOUR photos into stock photos! 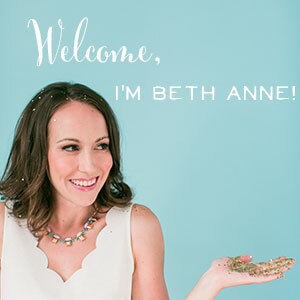 “Ok… now you’ve REALLY got me confused, Beth Anne!” Let me explain…You know how when you go to take photos for your biz it’s this whole big production? You wait for the right lighting…pull out your backdrops…arrange and rearrange your props…and snap a bazillion photos hoping for a few good ones? Yeah. Me too. Even though I hire a photographer now, I still dread the time, effort, and WORK involved in creating gorgeous new photos for my business! So…. 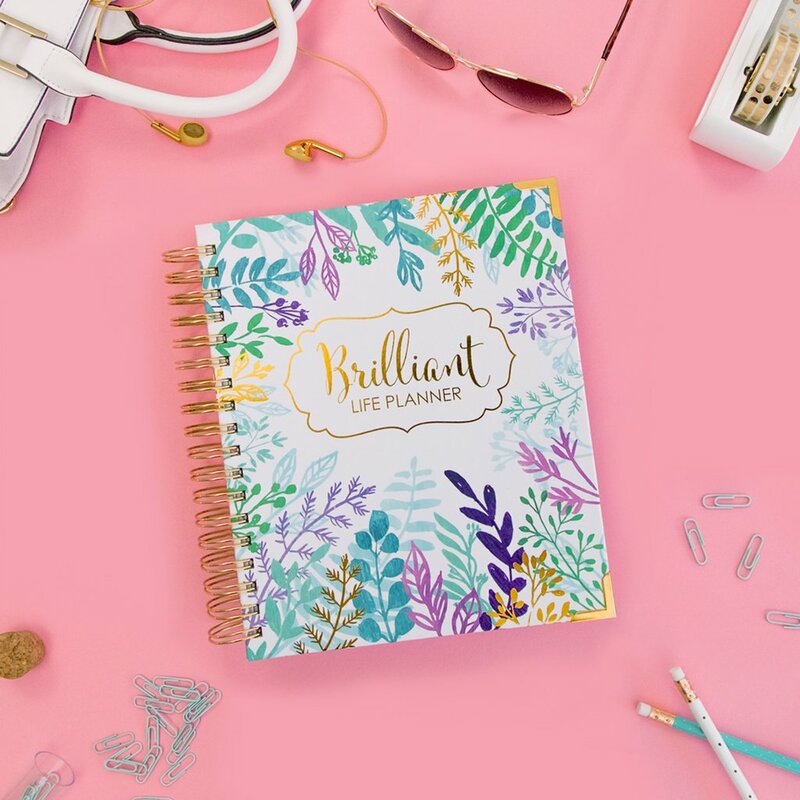 one of my best-kept secrets is that I turn my favorite photos into stock photos that I can use to highlight NEW products! Umm yes… I get that this seems a bit like magic and how the heck are we doing this? You’re right, it’s almost like magic. 5.) Create a set editing sequence in Photoshop or Lightroom. 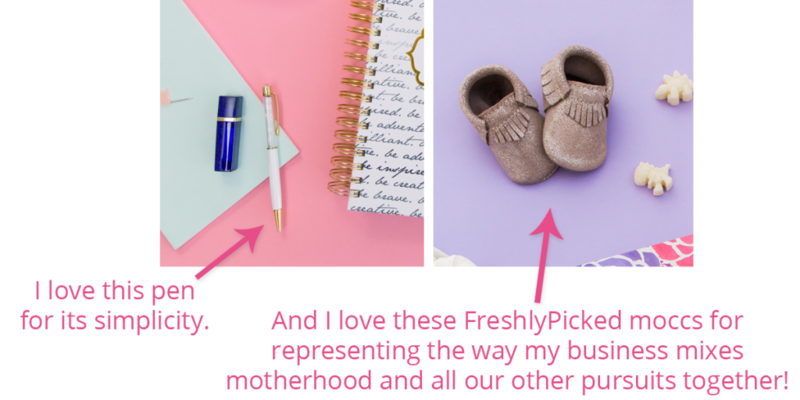 One of the best ways to make your brand look profesh and together is by editing all of your photos in the same way. If you like super bright and over-exposed, you’ve got to make sure ALL of your photos (both stock and taken by you!) have that look and feel. If you love dark and moody, same deal here too! By creating a set editing sequence where you, for example, add some warmth, add some highlights, and cut down on the shadows, you’ll have all your photos looking like they belong together in a snap! In the photog world, this is called a “preset” in Lightroom or “actions” in Photoshop. But, lots of presets and actions out there are a bit too overdone and unnatural. So creating your very own, subtle preset or action is a great alternative! Ok my friend! How are ya feeling?! Excited that you learned a few insider tricks you hadn’t heard before! Pumped that even if you implement just one of these tips, you’ll be well on your way to better-looking photos! Impatient for Ellen to teach you her magic already! Yeah, me too….I’m impatient too. While you wait, start by implementing just one of these tips and snatching up Photoshop for yourself (affiliate link). 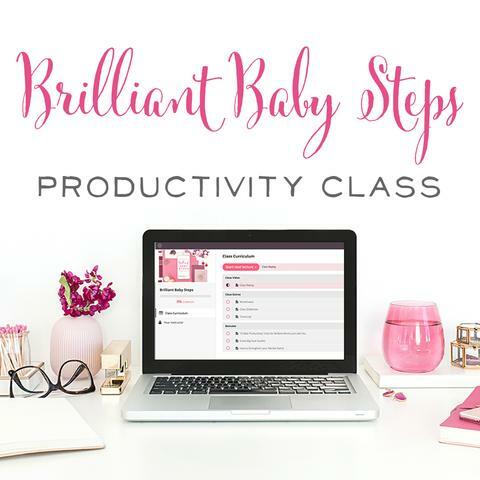 You’re gonna need it for all the goodness we want to teach you, and it costs LESS than paid Canva and barely more than paid Pickmonkey. And it can do about a million more things than either of those beginner tools can. 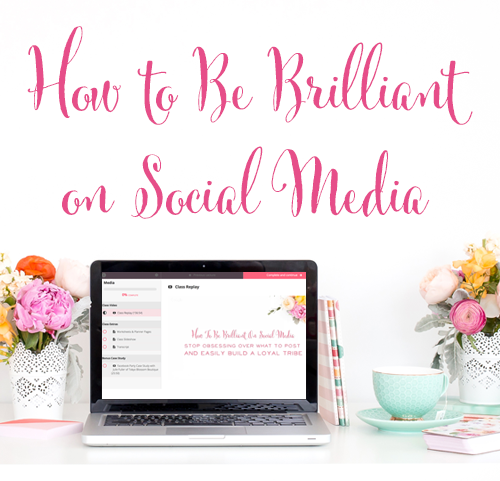 I’ll see you next week with even more beautify-your-brand tips. You deserve to look gorgeous, my friend! Let’s do it! 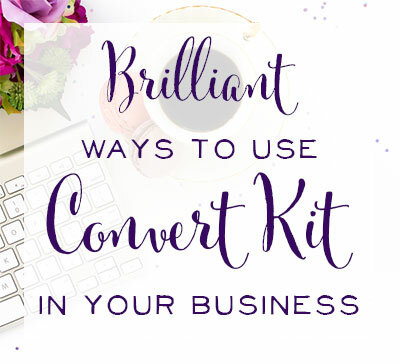 Are you ready to become a Photoshop Ninja, learn the tools you need to make amazing images for your business, and ditch the inferior tools you've been using? PS Crash Course is just what you need!